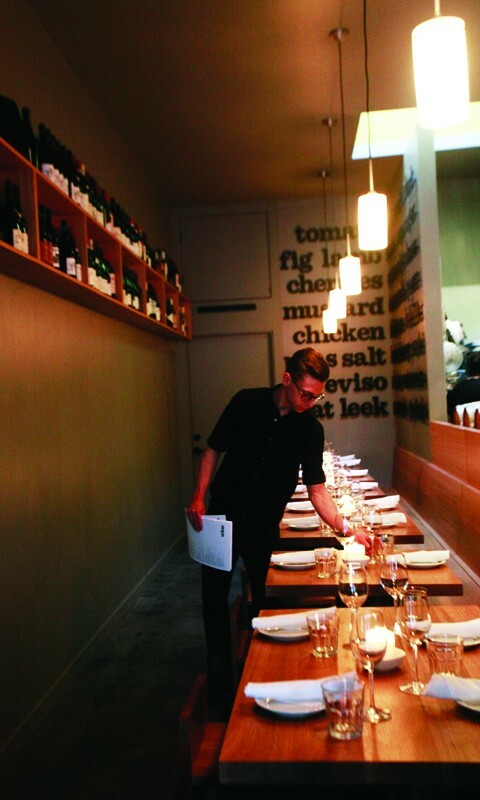 Ethan Stowell’s Tangletown restaurant is his smallest one, with 28 seats and a streamlined look, including a roll-up garage door (for when the weather gets nice) and the currently-required-by-upscale-restaurant-law wood-fired grill. Joe Ritchie, who’s worked at other Stowellian places and with Jerry Traunfeld at the Herbfarm and Poppy, is the chef. The name, absurdly, is supposed to be pronounced “market,” with the “m” and the “k” and the “t” standing for “Meridian, the traditional name for the neighborhood; the historic Keystone Building it’s housed in; and Tangletown, as the area is now known,” according to press materials. Okey-doke!